When it comes to automotive maintenance, there are few things as important as keeping up with the manufacturer-recommended service schedule. So, that’s why our team here at Cerritos INFINITI wrote this helpful INFINITI Q60 Maintenance Schedule for our customers near Long Beach, Torrance, Fullerton, and the surrounding California communities. Contact our service department with any questions, ok? Here’s an example of an INFINITI Q60 maintenance plan. We encourage you to read through it and follow all the suggestions. Note: these mileage and month intervals are based on standard driving conditions! 20,000 Miles or 24 Months: inspect automatic transmission fluid, axle/suspensions parts, brake lines, calipers, pads, rotors, cables, brake lights, cruise control switches, CVT fluid, differential oil, drive shaft boots, exhaust system, front suspension ball joints, fuel lines/connections, fuel tank vapor vent system, manual transmission oil, propeller shaft, steering gear and linkage, steering linkage ball joints, etc., etc. 40,000 Miles or 48 Months: inspect automatic transmission fluid, axle/suspensions parts, brake lines, calipers, pads, rotors, cables, brake lights, cruise control switches, CVT fluid, differential oil, drive shaft boots, exhaust system, front suspension ball joints, fuel lines/connections, fuel tank vapor vent system, manual transmission oil, propeller shaft, steering gear and linkage, steering linkage ball joints, etc., etc. You can continue the pattern outlined above (of rotating the inspections each 5,000 miles or 6 months, whichever comes first) per your mechanic’s recommendation. Don’t forget about emergency service! 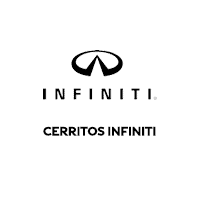 Here at Cerritos INFINITI, our knowledgeable team of automotive experts can take care of anything that’s going on with your INFINITI Q60, from routine maintenance to emergency repairs to upgrades and more. Our guys have been in the industry for years, and they do their job with the utmost efficiency and respect. Schedule an exclusive service appointment on our website right now! Is your INFINITI Q60 coming up on 25,000 miles on the road? What about 48 months? How about 55,000 miles? Any other distance or time milestones? If so, then now is the time to call us at Cerritos INFINITI! Or, if you’d rather stop by our service center in person or schedule an appointment online, you can do that.